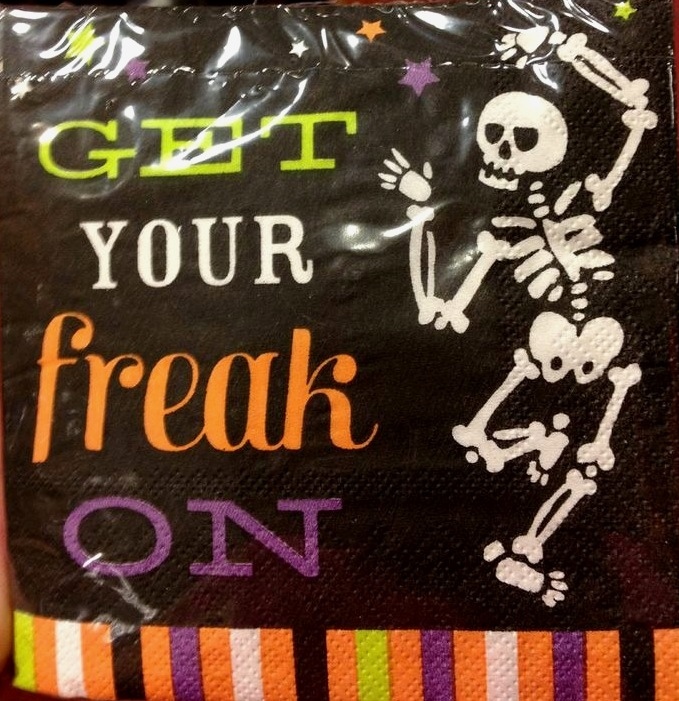 My friends are always teasing me that I like freaky stuff, or I let my freak flag fly, etc. I take that as a compliment! I have always liked being slightly different. 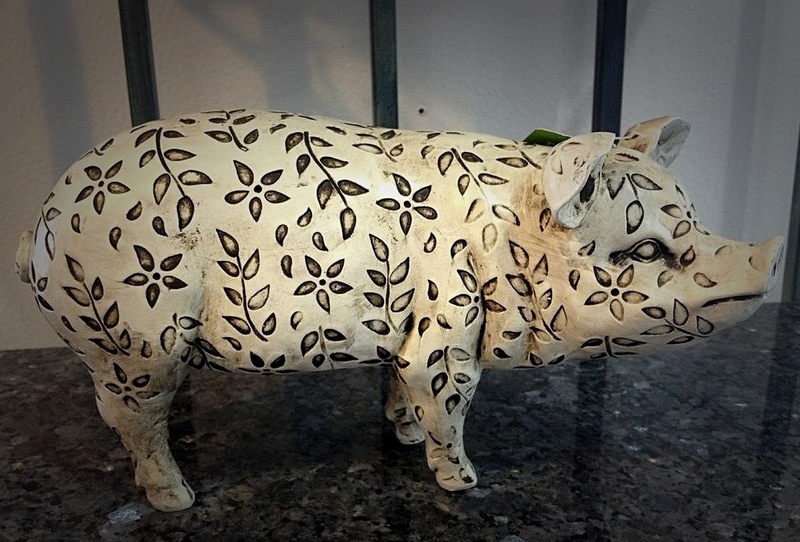 I decided to start a post series of all the things I like that are slightly different, not to me, but maybe others. I went thru my phone and found some recent pics I took. When I found the napkins above I had to snap a pic of them! I love skulls, especially when combined with flowers, in art work. So I had my husband, paint me the following painting for my office. 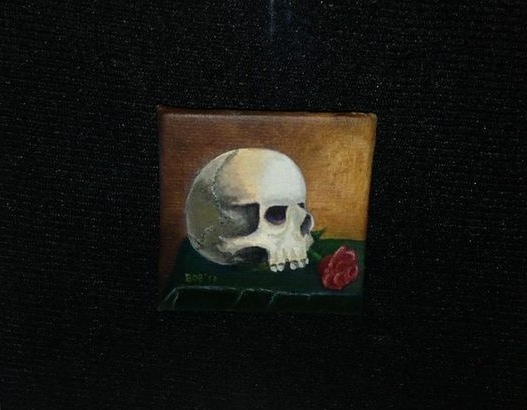 It is a tiny 2″ x 2″. 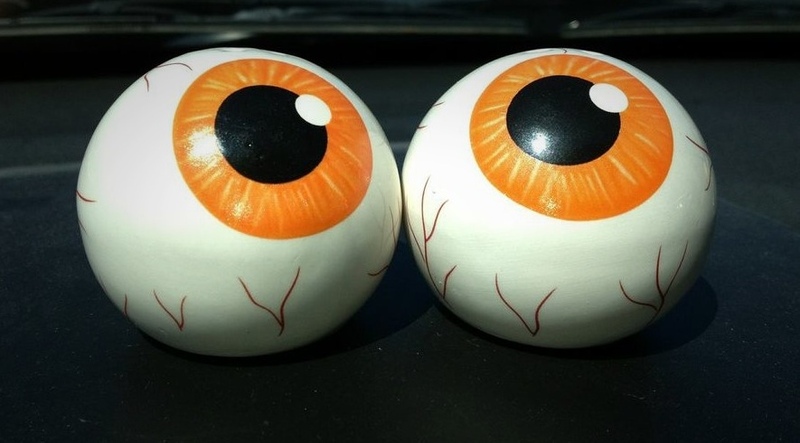 A few eyeball salt and pepper shakers I recently got for my niece! I already have a set of blue ones. 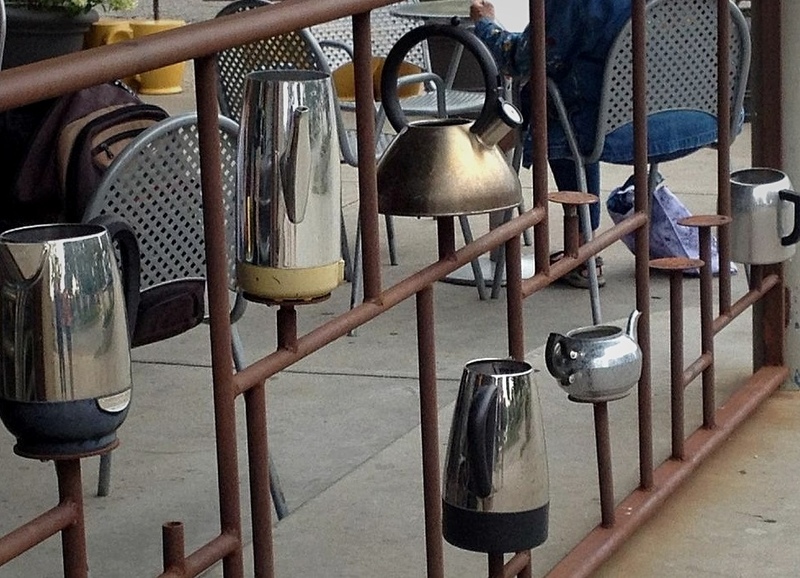 Recently when at a coffee shop in Michigan we came across this cool coffee/teapot fence! Such a neat idea. 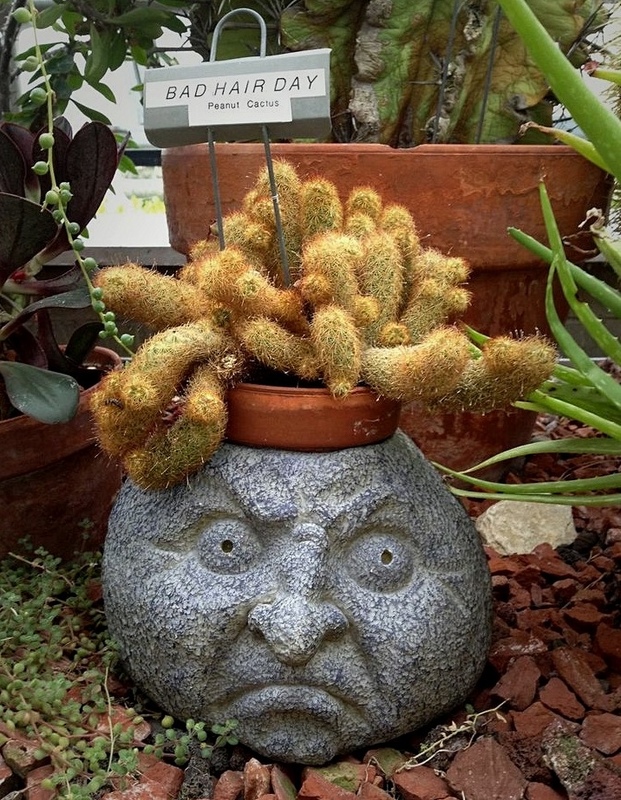 Is there anything you love that your friends might tease you about, or don’t get? !